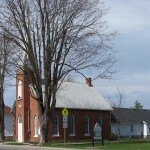 St. Andrew’s was the first Presbyterian congregation in Carleton County. Except for a brief period in the 1820’s itinerant preachers ministered to the congregation until the 1840’s. 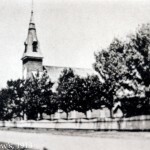 The first wooden church was constructed on this site in 1847 and replaced by the present brick church and spire in 1884. 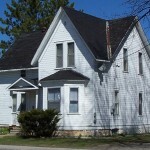 The Manse was completed shortly afterwards. Although a relatively small congregation, the church had the financial support of several of the village’s most prosperous merchants and became the religious, social and cultural centre for the Presbyterians in the village and surrounding farms. The first recorded service was conducted in 1822 by Rev. 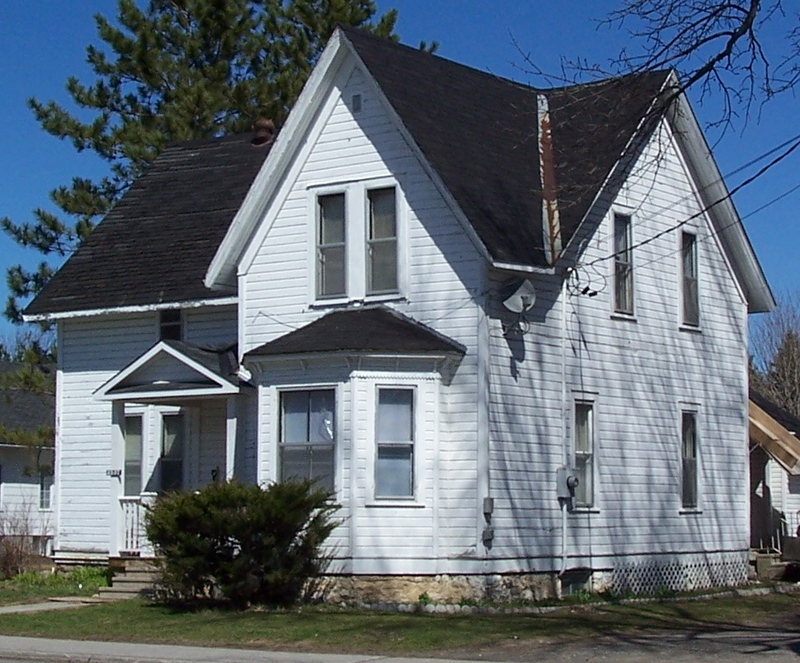 William Bell who traveled throughout the Richmond Settlement ( western Carleton & eastern Lanark Counties) often preaching in private homes and in the Richmond school house. His “Journals” have provided historians with a unique glimpse of the life of the early clergy in Upper Canada. The Rev. Andrew Glen was the first resident minister in 1823, but it wasn’t until 1847 that a frame church was completed on the site of the present building. The early congregation had the support of the village’s commercial elite. Capt. Lyon of the 100th regiment was an early petitioner for government lands to build the church (1823). Members of other prosperous merchant families including the McElroys and Browns were supporters of the church and church elders. Unlike the Anglican & Catholic communities which each received 10 acres to build a church and rectory, the Presbyterians only received two acres for a cemetery located between the Anglican & Catholic Cemeteries. In 1818 land had been set aside for the Presbyterian burying ground but no formal confirmation was provided until an Order in Council of Sept. 3 1844. At that time lot 11 on the east side of Fortune St. and lot 11 on the west side of Maitland St. ( a total of 2 acres) were granted by Governor-General Metcalfe to the Rev. David Evans, Anthony Philip, Esquire, and William Gordon the elder, yeoman in trust for the congregation. The rest of the land acquisitions occurred because of the generosity of the congregation. Things changed in the mid 1880’s. 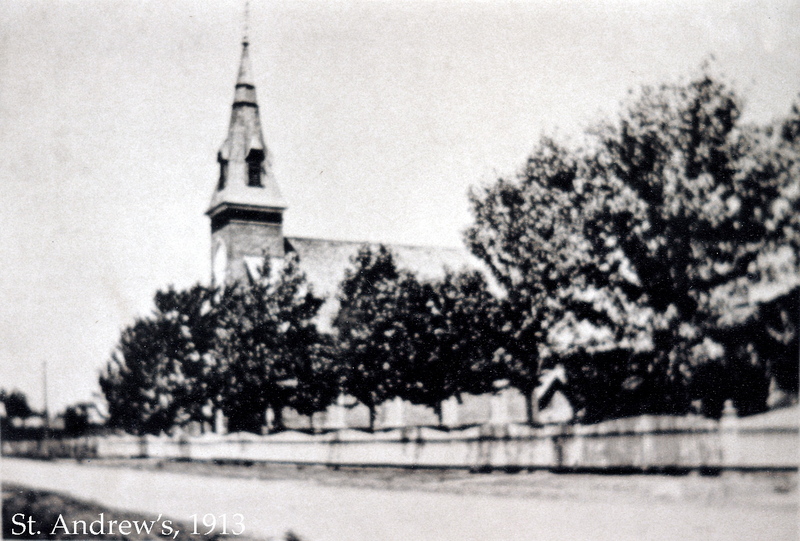 In 1884, the frame church was removed from the site and a new brick church and steeple were constructed. Thanks to the generosity of Margaret Malloch, daughter of Maria Hill and widow of Edward Malloch, land next to the church was acquired and a new Manse was completed between 1885 and 1889. From this time forward, the church and Manse became not only the religious but also cultural and social centre for village Presbyterians. 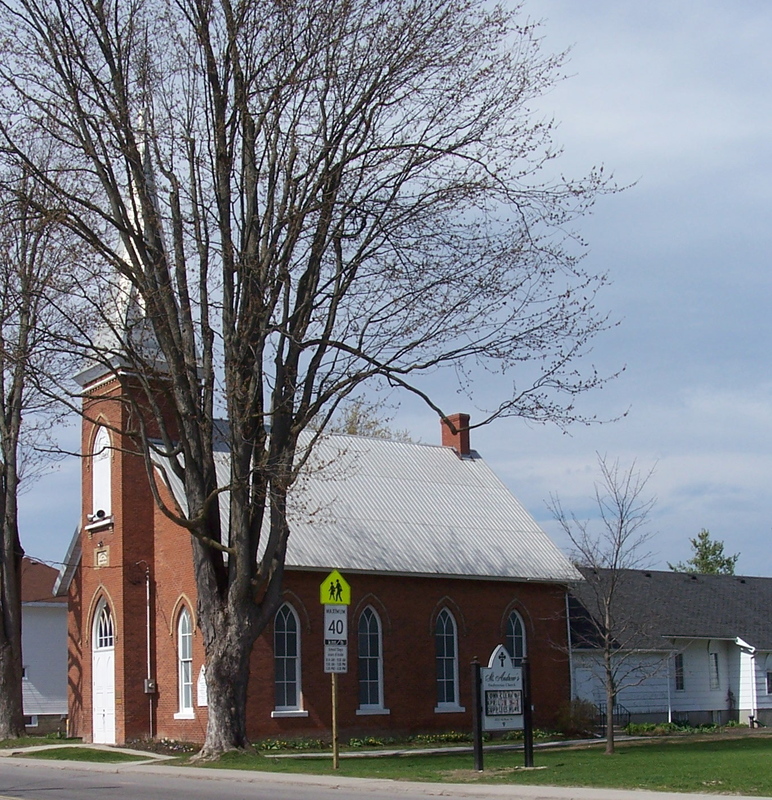 The influence of St. Andrew’s extended beyond the village limits as at various times the minister was also responsible for Presbyterian congregations at the Stittsville, Fallowfield and Jock churches. Thanks ever so much. I’ll make the correction. Please let us know if you see any other errors.